There was a time when I thought that Rovio would have released their famous Angry Birds game with yet another license on top of it and have done with it. We’ve seen Angry Birds: Rio, Angry Birds: Star Wars, and probably a plethora of other games that I’m forgetting. 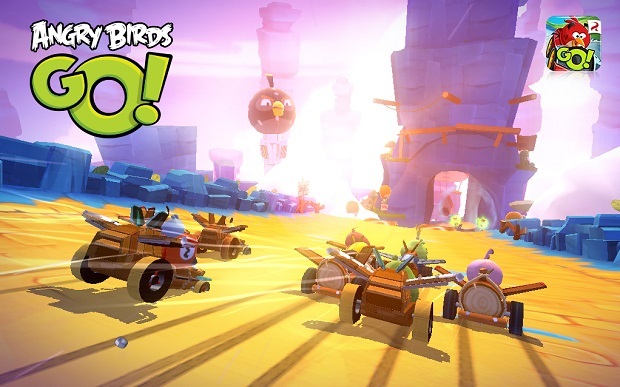 Something I would have never thought I’d have seen is an Angry Birds game in a totally different genre, with a totally different look, but that’s exactly what we’ve got with Angry Birds Go!, and the addictive quality of Angry Birds is well and truly back. Angry Birds Go! is a free-to-play racing title that gives you a quite a lot to do before you start hitting those dreaded pay walls. 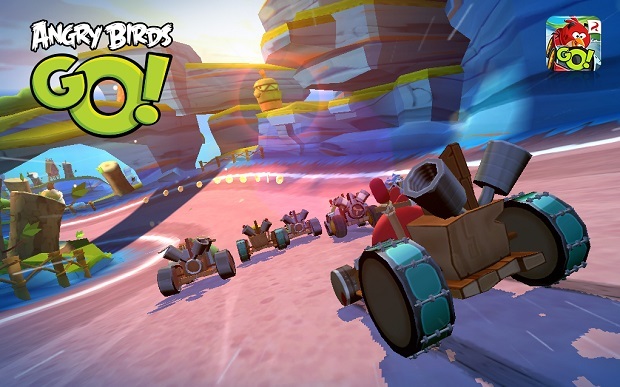 There are four different levels to race through, and each of those levels has a number of different tracks within, and the completion of each of them will see another well-known Angry Birds character unlocked and added to your team. Each character you have access to can race five times before you have to either wait for their counters to regenerate (which takes about 30 minutes per single race – so two and a half hours for the full five to regenerate) or you can pay to refill it using gems. All this means you can race five times if you have one character, ten times if you have two characters, and so on. So you can start to see the drive (pun partially intended) in collecting more and more characters to add to your team; the more characters you have, the longer you can play without having to pay for anything. Each kart is fully upgradable, which costs coins that you’ll gain during the race. This is where the grinding element of Angry Birds Go! comes into play. You can either play races over and over again in order to gain enough coins to upgrade your kart and be able to play more races, or you can spend your own hard-earned cash to buy the gems, which can in turn be used to buy coins. It’s important to remember though, where Plants Vs. Zombies 2 made it almost impossible to progress past a certain point without dropping the cash to buy plants, Angry Birds Go! seems to go out of its way to make sure that you never have to spend a single penny unless you want to. Not in-game anyway – they want you to buy the new Telepods. Telepods are similar to Skylanders in the sense that they’re physical toys that have an effect in game. These small toys karts are available to buy from most toy retailers and contain a small QR code on the bottom of them. When used in conjunction with the trophy stand (which acts as a magnifying glass for the QR code) and placed on the device’s camera – which, from experience, works much better if you’re using an iPad – you’ll suddenly find the kart that you’ve physically purchased within the game and ready to be used in the races. It’s an interesting way of making money and one that absolutely works, even I – at 27 years old – have considered buying more karts just to be able to use them in the game. In-app purchases are a second thought, Telepods are the way that Angry Birds Go! will make its money, without a doubt. There’s plenty of gameplay to keep you entertained too, with each track containing a few different game modes – VS, Race, Time Trial, Fruit Splat and the races against each of the different characters in order to unlock them – and each of the different modes have multiple races before you’ve completed them (usually five, but sometimes three). So there’s plenty to do within each track before you even have to start thinking about grinding them over and over again to upgrade your karts. Once you have completed all of the races for a track, and you’re onto the dreaded grinding, challenges will start to appear for each mode to keep you interested while you’re trying to earn more coins. 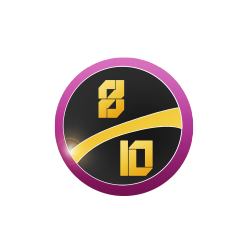 Challenges take the form of three tasks which, when completed, will give you bonus coins and gems. These challenges are usually simple tasks based on the mode you’re currently playing; for example, if you’re doing the Fruit Splat challenge, the task may be to get to the end of the race while only smashing five or less fruits. If you’re playing a race, the task may simply to finish in first place. Each of these tasks gives you something to aim for while you’re grinding for coins; something that the developer didn’t have to do – they could have made it feel more like you have to spend some real-world cash in order to progress – but they did it anyway in order to make you want to continue playing the game. A good move in my books. VERDICT: As a free-to-play game, Angry Birds Go! does a lot of things right. It never makes you feel like you have to spend money, it gives you plenty of things to do and, while there’s a point where it would seem that you can’t play any more unless you spend some cash, all you have to do is wait a little while and you’ll be able to play more without any problems. The visuals are gorgeous, the gameplay is addictive and with the little physical karts that you can add to the game, I can see a lot of Telepods making their way under Christmas trees this year (I certainly hope there’s one or two under mine). Angry Birds Go! is addictive, funny and fun – exactly what you want from a game with the Angry Birds name – and it’s very nice to see Rovio make an attempt at a totally different genre. About time.